There are three new iPhones to choose from in 2019, making any purchase decision a little harder than previous years, when there have only been two. If you’re looking at the iPhone XS and thinking maybe the iPhone XS Max is the one to go for, or perhaps wondering if waiting a little while for the iPhone XR is sensible, we feel your pain. Although confusing at first, the differences between the three are clear once you examine them closely, so let’s put Apple’s three super desirable phones up against each other to see which one is the recommended buy. If you’re the indecisive type and are looking for our reviews, then go here for the iPhone XS, here for the iPhone XS Max, and for the iPhone XR head over here. While the iPhone XS and XS Max went on sale first, the iPhone XR has now joined them, so whichever you end up choosing you won’t have to wait long until it’s in your hand. Video 4K at 24, 30, or 60fps. 1080p at 30, or 60fps. OIS. 4K at 24, 30, or 60fps. 1080p at 30, or 60fps. OIS. 4K at 24, 30, or 60fps. 1080p at 30, or 60fps. OIS. If you’re expecting to split the iPhone XS, iPhone XS Max, and iPhone XR on performance, it’s not going to happen. 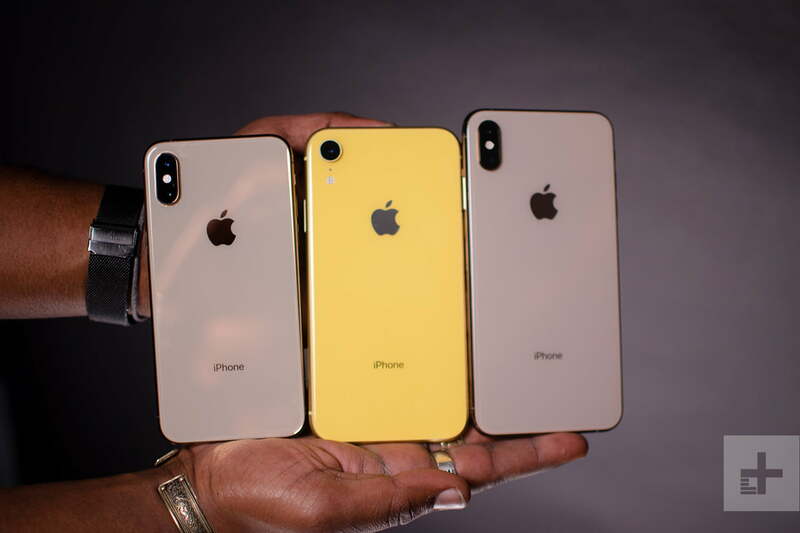 All three models use the same A12 Bionic processor, and the iPhone XS versions have the same internal storage options of 64GB, 256GB, or 512GB. The iPhone XR comes with either 64GB, 128GB, or 256GB. There is a slight difference in the RAM — both the XS and XS Max have 4GB, while the XR makes do with 3GB. That means the more expensive iPhones should be a touch better at juggling multiple apps and games, but you’ll have to be a heavy multitasker to benefit and we don’t expect much of a noticeable difference. If you’re upgrading from an older iPhone, then you should know the A12 Bionic is a real powerhouse. It’s the first mobile processor built using a 7nm process to go on sale (sorry, Huawei), and contains six cores which split the workload depending on power requirements, and is claimed to be 15 percent faster than the previous generation while using 40 percent less energy. You won’t be left wanting more power using any of the new iPhone models. There’s not one clear winner in the battery department either, as Apple’s quoted use times vary. Let’s look at talk time first. The iPhone XS should last for 20 hours, the iPhone XS Max for 25 hours, as should the iPhone XR. Internet use is 15 hours for the XR, 13 hours for the iPhone XS Max, and 12 hours for the iPhone XS. Apple also quotes how much longer each battery lasts over the iPhone X, which may be due to the A12 Bionic chip and iOS 12 more than extra capacity. You’ll get 30 minutes more out of the iPhone XS, and 90 minutes more out of the iPhone XS Max and iPhone XR. All three have wireless charging using the Qi standard, and fast charging, too, provided you buy Apple’s fast charger. Only a standard slow charger comes in the box. With the fast charger, a flat battery will zip to 50-percent capacity in 30 minutes. While none of these phones will last much longer than a day, or a day and a half if you’re careful, the iPhone XR comes out with the best results. There isn’t enough difference here to pick a winner, so we’re calling this category a tie. Here’s where the differences between the three start to show. 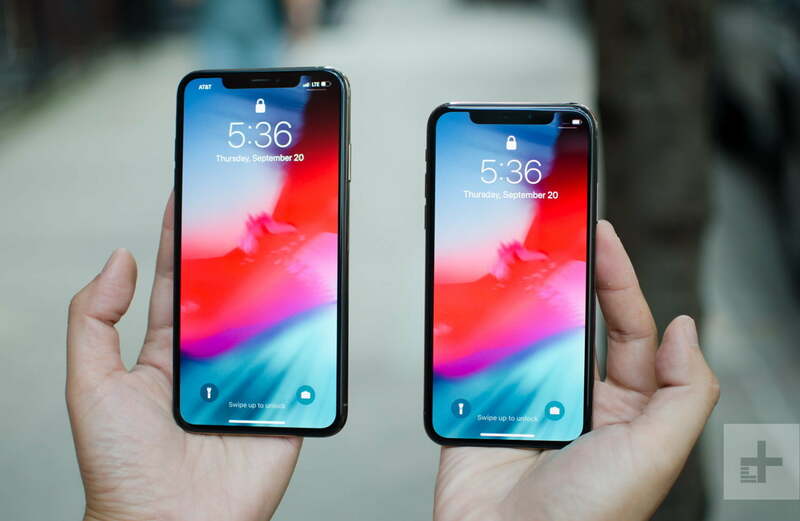 The 5.8-inch 2017 iPhone X, and therefore the iPhone XS, is considered to be just about the right size for most hands — big or small. However, if you have been used to an iPhone Plus model, it may seem a little small, and if you’re coming from an even larger Android phone, it’ll feel positively cramped at first. The iPhone XS Max is much bigger, and we note in our review it’s ideal for watching video and playing games. However, if you’ve got small hands, you may want to hold one before buying just to make sure. It’s also heavy at 208 grams, compared to the 177-gram iPhone XS. The two XS phones look the same, with a glass body, an IP68 water-resistance rating, a metal chassis, a notch above the screen, and a dual-lens vertically mounted camera on the back. It’s only the size that separates them. The iPhone XR fits in the middle. It’s 194 grams, has an IP67 water-resistance rating, a colorful glass back, and slightly thicker bezels around the screen. The notch stays though. None of the phones have a headphone jack or a fingerprint sensor. Apple’s Face ID is used on all three. Which wins? The iPhone XS is the best mix here, although if you’ve used the iPhone X and felt it was too small, the XS Max is the same deal just bigger. While the iPhone XR is impressive, and we love the new colors, it doesn’t quite match the class of the XS and XS Max. The iPhone XS is the smallest of the three with a 5.8-inch Super Retina HD OLED panel with a 2,436 x 1,125 pixel resolution. The iPhone XS Max has a whopping 6.5-inch version of the same panel, this time with a 2,688 x 1,242 pixel resolution. The iPhone XR sits in-between with a 6.1-inch screen, but here it’s an LCD panel Apple calls a Liquid Retina HD display. The resolution is 1,792 x 828 pixels, which we consider a little low for a modern smartphone. 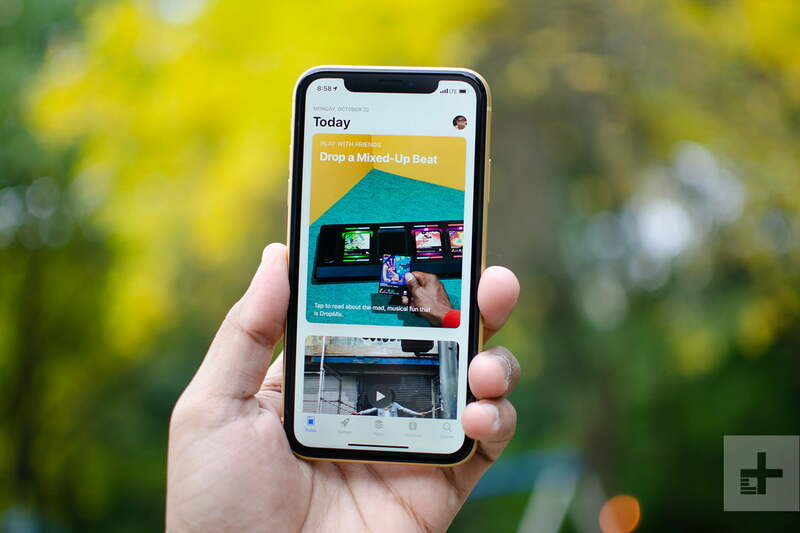 The contrast level is also different on the iPhone XR due to the use of LCD rather than OLED. 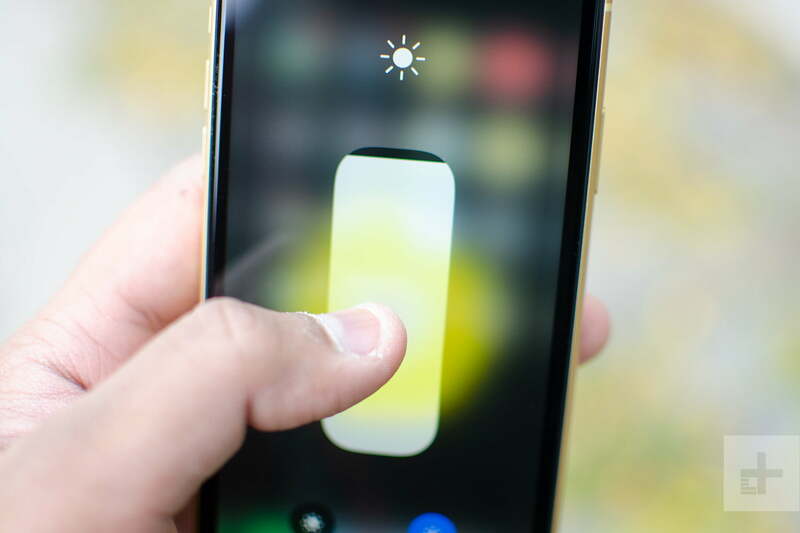 The iPhone XR also misses out on the 3D Touch feature, and although it does use a shortcut system that uses haptic feedback, it won’t be quite the same as the full version on the XS models. 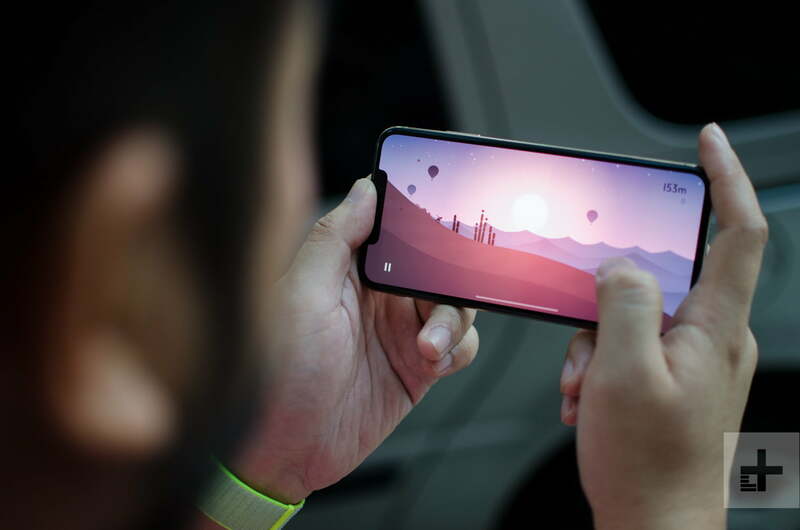 While Apple says the LCD on the iPhone XR is one of the very best, and we call it “excellent” in our review; rarely do LCD panels surpass OLED panels when it comes to the viewing experience, whether it’s navigating the operating system or watching videos. The contrast, black levels, and bright colors will make the iPhone XS and XS Max the ones to go for if viewing pleasure is high on your list of requirements. We’ll choose an OLED screen over LCD each time, especially with the higher resolution. The only decision then is about the size. The dual-lens camera on the iPhone XS and XS Max is exactly the same. Whichever you choose, you get a dual 12-megapixel f/1.8 aperture wide-angle, and f/2.4 aperture telephoto lenses, which provide a 2x optical zoom and portrait mode bokeh shots. Apple has improved the bokeh mode and the HDR feature on the iPhone XS models over the previous versions. Video can be shot in 4K at up to 60fps. Around the front is a 7-megapixel, f/2.2 aperture TrueDepth camera for selfies, complete with portrait mode, and support for creating Animoji and Memoji. It also includes the necessary hardware for Face ID. 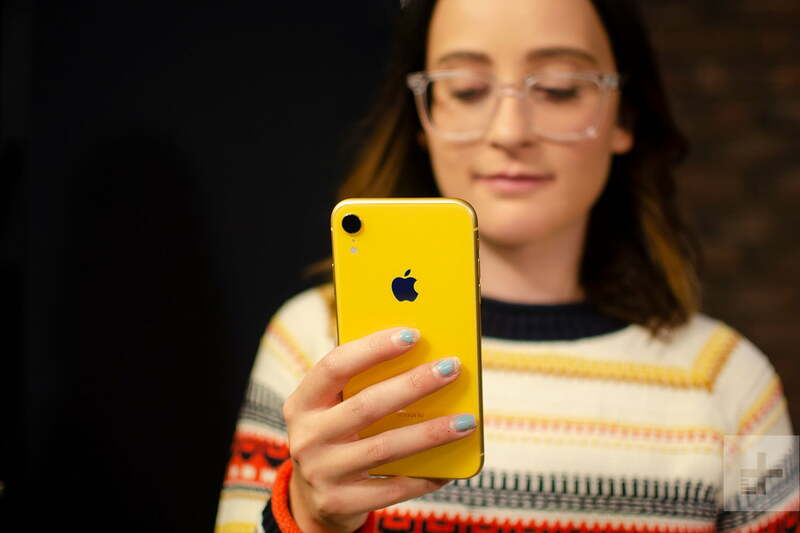 The iPhone XR has the same front camera, but a single lens 12-megapixel camera on the back, with an f/1.8 aperture and no optical zoom. It does have a software-driven portrait mode though, and optical image stabilization, plus the new Smart HDR feature. Think of the iPhone XR like the iPhone 8 as it compares to the old iPhone 8 Plus. 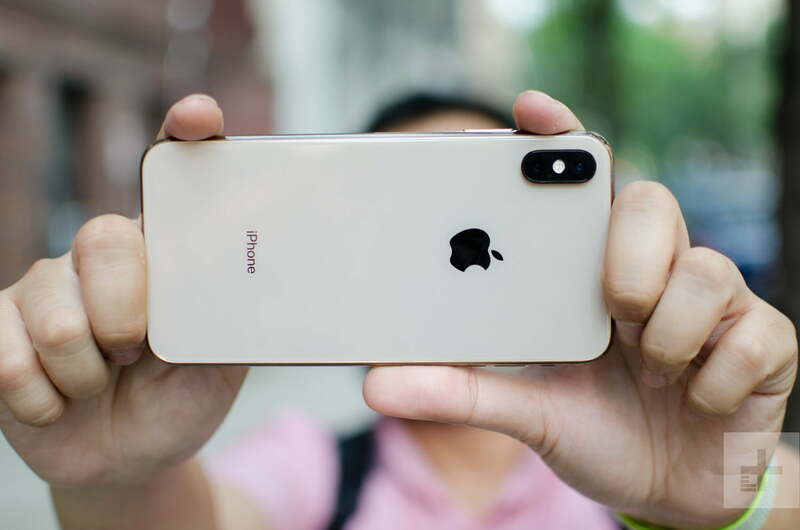 Still a good camera; but keen photographers will lust after the dual-lens iPhone XS models. That being said, we do think its Portrait Mode is better in low light over the iPhone XS. All three new iPhone models use iOS 12, and will be eligible for a free upgrade to future versions for several years. Because all three use the same processor, we doubt there will be much difference in performance, although the bigger the screen the more suited it will be for gaming. We mentioned earlier the iPhone XR does not have 3D Touch, and instead uses a simpler alternative called Haptic Touch, but otherwise things will be the same across the range. There are no real surprises in this department. All three iPhones have the same TrueDepth camera for FaceID and Animoji fun. The only obvious difference that you might consider a special feature is the absence of 3D Touch in the iPhone XR. The XS and XS Max have more Portrait Lighting options on the rear camera — five over the three on the XR. Here’s where things really change. The cheapest new iPhone is the iPhone XR, which starts at $750, and the most you’ll pay is $900 for the 256GB model. The iPhone XS is the next up and starts at $1,000, while the 512GB version costs $1,350. The iPhone XS Max is the most expensive at $1,100, but you could spend $1,450 if you splash out on the 512GB version. It’s hard to justify the iPhone XS Max’s massive price tag, and you’ll have to be truly committed to owning a large screen iPhone to buy one. The iPhone XR is probably more than enough for most people, is the cheapest, and comes in some great new colors. Which is the best iPhone? Easily the iPhone XS. Which one should you buy? The iPhone XR. It’s cheaper, has all the key features from the XS and XS Max, though the LCD screen isn’t as nice and there’s no dual-lens camera. The Portrait Mode is still excellent, and we think it’s all the phone most people need. If price isn’t a concern, then go for the iPhone XS. Either way, you’ll enjoy your new iPhone.